It is the responsibility of leaders at all levels in an organization to recognize a poisoned work environment, and to take steps to remedy the issues. “CSI-style wall…Creepy…I was horrified…Very evil…Disturbing behaviour.” These are phrases that might be used to describe an episode of Homeland or a big-budget suspense movie. In fact, these were statements uttered by individuals who worked with the Mayor of Whitchurch-Stouffville, Justin Altmann, regarding his behaviour in office. The complaint was initiated by an anonymous complainant who was approached by co-workers at the Mayor’s office who saw the wall and feared for their safety. The Integrity Commissioner set out to determine whether the Mayor’s conduct constituted harassment under the Town’s Code of Conduct and under the Harassment and Discrimination Free Workplace Policy. Harassment is typically characterized by repeated conduct or comments that are known to be unwelcome. In this case, the Wall represented a single, serious action not necessarily directed at a particular individual. The impact of the Wall on staff morale was sufficiently serious and had the effect of creating an uncomfortable atmosphere. This met the definition of harassment in the policy. In addition, the Mayor was found to have created a “poisoned work environment”. In her recent blog post, my colleague, Kenda Murphy, cited a case from the Human Rights Tribunal of Ontario which outlines what a poisoned work environment is and how it can arise. Over the course of the investigation, it was reported numerous times in the media that the Mayoral office has been rife with dysfunction, a lack of trust and conflict since Mr. Altmann’s election in October 2014. These reasons were cited by staff who had resigned, quit or were fired from their jobs between 2015 and 2016. Yet, the formal complaints in this investigation only arose in March 2017, suggesting that issues continued to escalate from the time Mayor Altmann took office. In the absence of any apparent proactive step to address these issues, a complaint to the Integrity Commissioner was likely no surprise. This can be contrasted with a recent example from New Brunswick where an organization successfully worked to remedy a poisoned work environment. In response to numerous staff complaints of harassment in the extended care unit at Chaleur Regional Hospital, a workplace assessment was conducted by an outside investigator, which included a survey of approximately 40 employees and review of documents, including social media exchanges. The investigator identified “negative and inappropriate comments by some workers, excessive tolerance for inappropriate behaviour and language and poor implementation of changes by management.” The President and CEO of the Hospital began implementing changes shortly after receiving the results and initiated meetings with union representatives and staff. These steps represent good examples of how an organization can look to address workplace culture issues before they result in formal complaints requiring investigation. What can individuals in leadership positions do to promote healthy workplace relationship and curtail negative and detrimental behaviour? “A leader is one who knows the way, goes the way, and shows the way” (John Maxwell). Leaders have a responsibility to proactively prevent harassment from occurring in the workplace. As part of this responsibility, managers and directors should seek out opportunities to inform themselves of their obligations under workplace policies and human rights obligations. Conduct a workplace assessment, where an investigator is retained to gather information relating to the culture, practices and behaviour in the workplace. The results of the assessment would identify root causes of conflicts or issues, and potentially offer solutions as to how to resolve them. This can be a very effective way to address issues instead of waiting for someone to complain. In response to a formal complaint, consider bringing in an external investigator. A poisoned work environment by definition is more expansive than a conflict involving two staff. 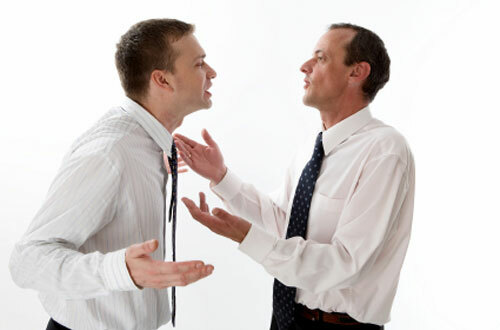 Individuals in managerial roles may be part of the conflict as well. It would therefore be prudent to obtain an independent investigator to alleviate any concerns of bias if the investigation is completed internally. The investigation must be unbiased, and it should also be perceived to be unbiased.